We first learned that Qualcomm was working with Microsoft to create ARM-powered PCs, which could run Windows 10, back in December last year. In January the processor that was said to be key to the 'Cellular PC' revolution was launched, the 10nm Qualcomm Snapdragon 835. 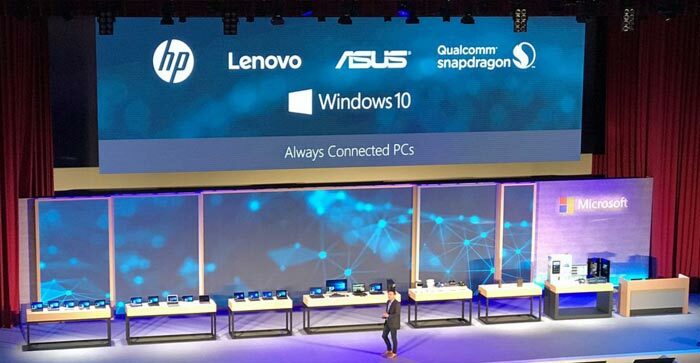 Today at Computex Qualcomm announced that it has been working closely with PC Industry heavyweights including Asus, HP and Lenovo to ready mobile PCs that are powered by the Qualcomm Snapdragon 835 SoC. The goal is to enable the kind of mobility we enjoy with smartphones and tablets - with Windows PCs. Qualcomm refers to this as a 'hypermobile experience'. The new devices from Qualcomm and its partners will be "sleek, thin and fanless PCs running a Windows 10 experience with unparalleled LTE connectivity for an always connected, on the go experience". Qualcomm promises the "beyond all-day battery life," will cure mobile PC users' power outlet anxiety. Microsoft's Matt Barlow, CVP of Windows marketing said he was "thrilled" about the new Windows 10 devices coming to the ARM ecosystem. "This collaboration offers consumers something new and that they have been craving – the best of a mobile computing experience with the best of Windows 10, all in one thin, light, connected device." 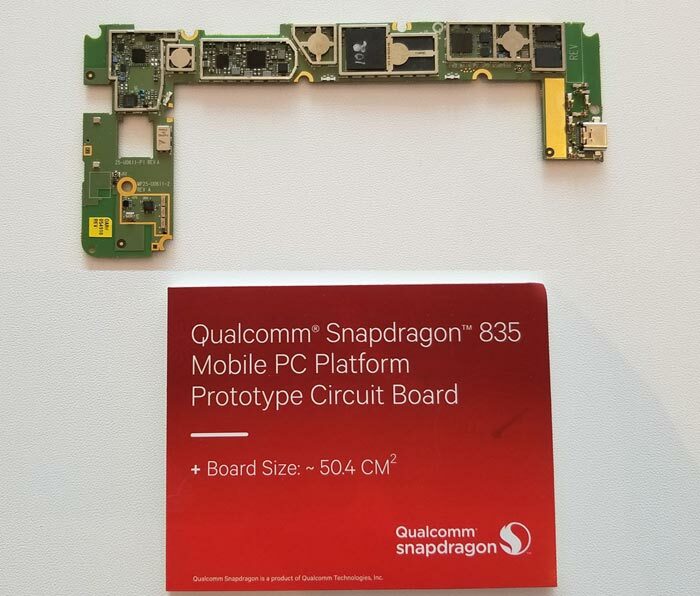 In the wake of its Computex presentation Qualcomm is demonstrating one of its test platforms connected to a 46-inch monitor and loaded with familiar apps like MS Office, so attendees can experience what the Snapdragon platform can offer. 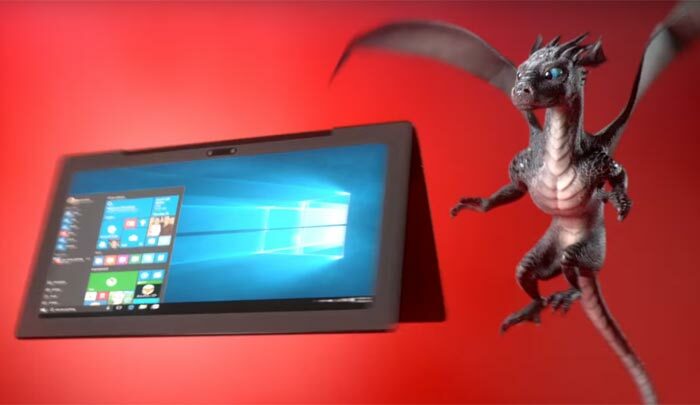 Qualcomm and its partners weren't ready to announce product specifics or launch schedules for the hypermobile Windows 10 PCs, we were told to 'stay tuned'. What would people want to use x86 windows in a “hyper mobile” form factor for? I'd prefer the windows environment when using word processors, Excel etc. But then I'd want a form factor with a keyboard which is essentially a laptop. Or is it more to do with compatability with other computers/networks and streaming between them, perhaps running presentations from it instead of a laptop? This will help windows S compete with cheap android tablets. Maybe, after a few years building market share in tablets, there'll finally be a windows phone ecosystem worth using? I'm struggling to see the market for these… Tech guys would rather have full x86 for backwards compatibility. Non-tech guys already have buy into Android/iOS - add in the poor software support in the windows store and I can't see these being popular unless you really really want office very mobile and no backwards compatibility. I'm sure a few office workers might end up with these but won't most just end up with x86? It's not windows mobile or windows s, it's Windows 10 Pro running on an Arm chip with x86 emulation that delivers in most cases near identical performance to x86 hardware. Arm chips run longer and cooler than anything x86 in low price ranges and the broadband connectivity eclipses anything x86 has to offer. So yes there is a market for these and they can come in any form factor from laptop, tablet, pc whatever nothing is set in stone. It's good for Windows to break away from pure x86 as many long term analysts don't see a rosy future their. it's not like Windows hasn't been x86 only forever, in the past when PPC,x86 and DEC were supported by WinNT. Anyway this is the demo Qualcomm were showing media, it's pretty impressive for just a “mobile” chip, certainly better than any Intel Atom.